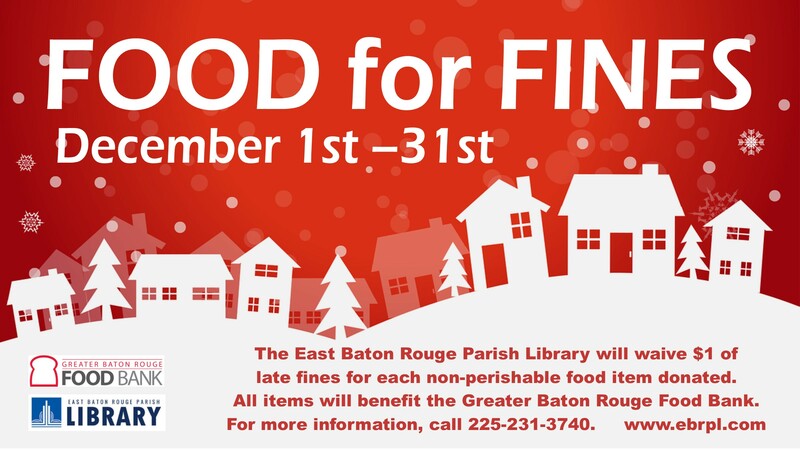 This December, bring in non-perishable food items and the library will waive one (1) dollar ($1.00) of late fines for every donated item! Help yourself by helping others. All items will benefit the Greater Baton Rouge Food Bank. If you have any questions, call us at (225) 231-3740. Previous Previous post: GIS DAY Louisiana!